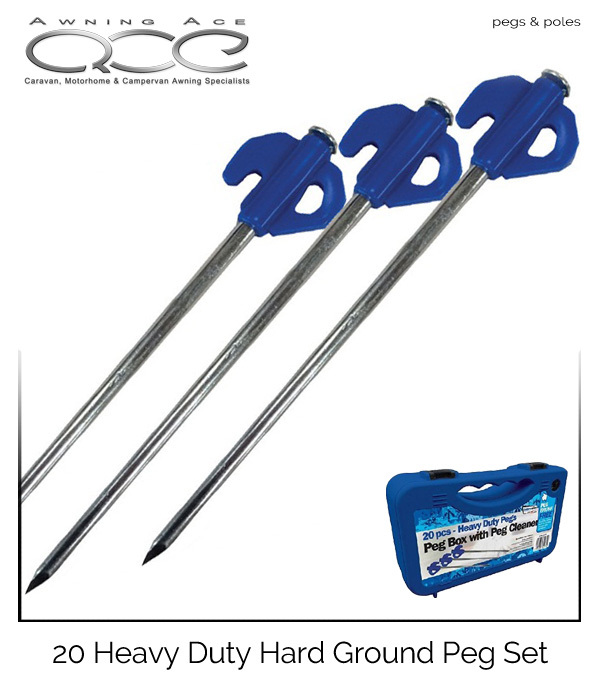 Pack of 20 Heavy Duty Hard Ground Peg Set complete with handy storage case with a clever built in peg brush cleaner. 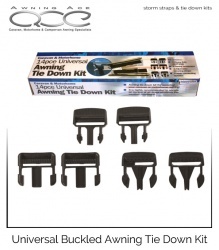 Keep you pegs in top condition after every use. 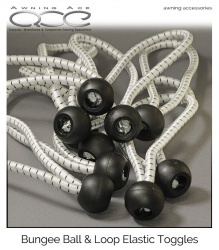 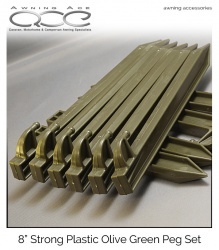 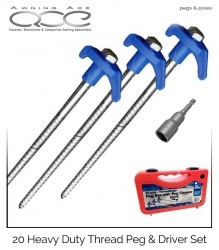 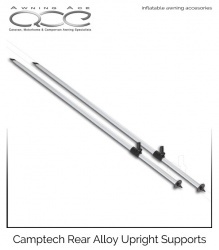 These high quality heavy duty pegs are ideal for hard ground conditions. 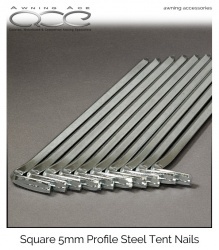 Stored in their own compact case, they're the ideal solution for many awning applications.